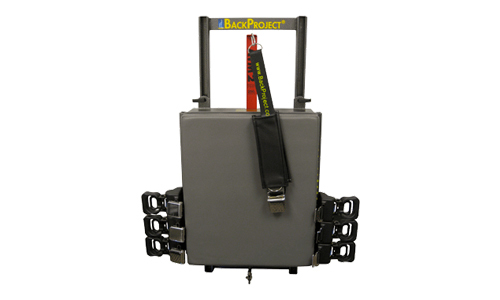 BackProject added the ATM2-WT wall mount model to the ATM2 family of products. Active Therapeutic Movements (ATM®2) provide immediate and long-lasting benefits to many back, neck, shoulder, pelvis, hip, and knee sufferers. By definition ATMs consist of a few active neuromuscular movements superimposed upon a specific passive holding. ATMs aim to immediately alter symptoms, by affecting the Central Nervous System (CNS) control. The ATM2 is a clinical tool designed to enable effective user operated ATMs. Easy Installation (16″ on center install template included), Space Saver, and Height Adjustable.